Visit our Blog often to find interesting information about bugs, pests and rodents in the Pacific Northwest. 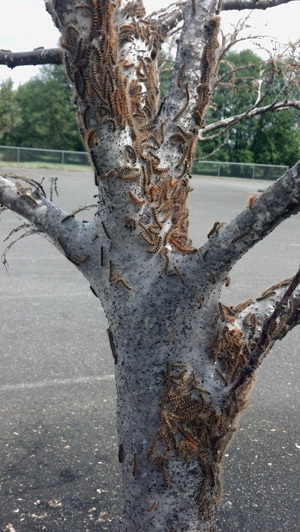 Western tent caterpillars are a serious nuisance pest during the months of May and June. Some signs of an infestation are orange/black caterpillars crawling on trees, silk "tents" on the end of branches that house the caterpillars, and defoliation. Their preference is for alder, apple, ash, birch, cherry, cottonwood, willow, other fruit trees and roses, but they can migrate and feed on other plants as well. 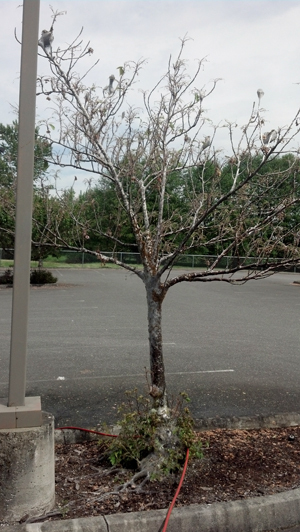 Healthy trees can usually survive growing new leaves by mid-summer, but it can reduce growth and make it more susceptible to further damage. There are a number of control measures that you can take to reduce or eliminate tent caterpillar. Early in the spring the eggs, a brown or gray material resembling Styrofoam, can be picked off by hand before they hatch. Later in spring, the nests can be removed by cutting off the branches and destroying, as well as stripping any larvae from the tree. Pruning should be done in the evening or early morning when most larvae are inside the nests. 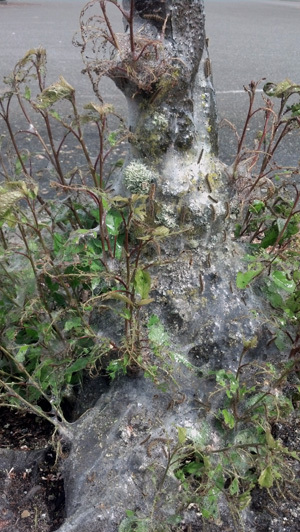 When tent caterpillars are numerous and hard to reach chemical control is recommended.